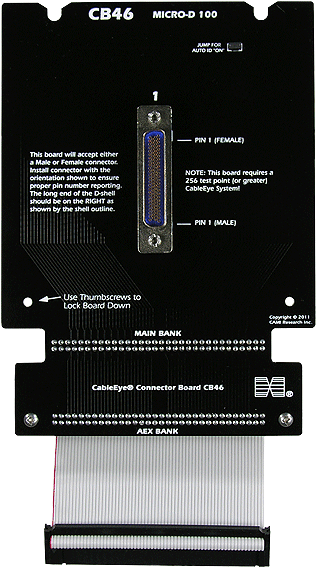 One connector position provided on this board will accept an Airborn-style 100-pin MicroD connector (6 rows of pins, (16-16-17-17-17-17). The price does not include connectors, and the board ships as a bare board. 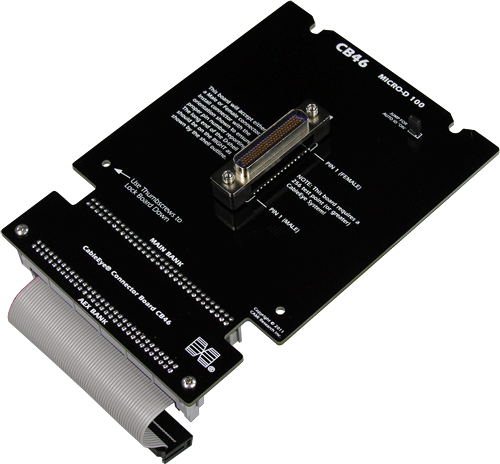 If the User provides the connectors, we will solder them into position and test the boards for a nominal charge (contact us for details). 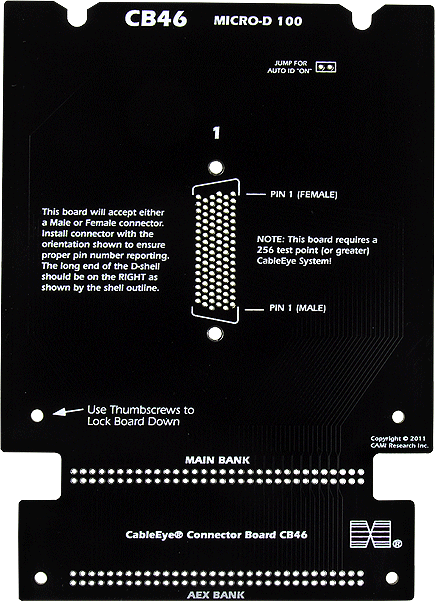 256-point CableEye system is required to use this board! Set of two boards with expander cables.